In all cases, there are no skidding plates of steel - just a nice, quiet, smooth rolling sled, with resistance that builds exponentially! The harder and faster you push, the more it resists. Whether seeking maximum intensity during a workout, or pursuing the recovery of healthy walking and pushing movements, the XPO Trainer leverages the natural movement of walking, running, and pushing. For higher intensity efforts, the upper end of the resistance curve provides an added load component that was specifically designed to build explosive power in a full-body workout. Nearly silent operation; no grinding or scraping noise like a traditional sled. Removable handles for easy transport, portability, and storage; easy to turn and maneuver in any location and by any athlete. Soft pneumatic tires; safe for use on almost any surface, indoors or outdoors. Suitable for any use from rehab to training elite athletes. The first trainer or sled made that gets eXPOnentially harder to push the faster you go. 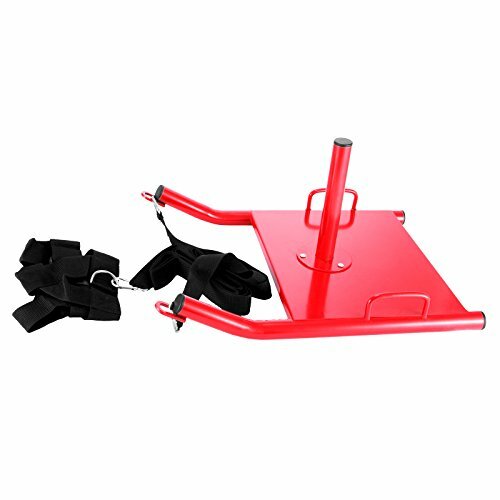 Build explosive speed and strength with this Heavy Duty push / pull weight sled from Titan Fitness. 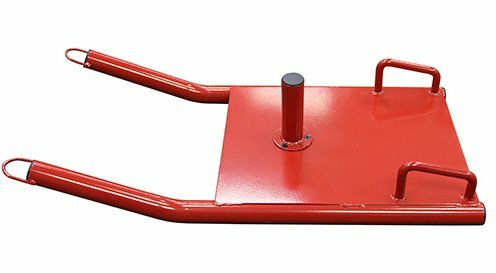 The sled can be easily broken down for transport, and comes in a compact design that can be used on just about any surface. Designed for use with Olympic plates, it's a great addition to any personal or professional gym. Build explosive speed and strength with this weighted sled from Titan Fitness with a deluxe padded vest. Designed for use with both standard and Olympic plates, it's a great addition to any personal or professional gym. This professional grade piece of equipment covers a wide range of fitness opportunities-- forward facing drags are excellent for speed development, primarily targeting your posterior chain, while backward facing drags are a great way to build quadricep strength. Using the handles to push the sled is also a great way to build up hamstrings and more. - Leash length: 9 ft. Build explosive speed and strength with this weight sled from Titan Fitness. Designed for use with Olympic plates it's a great addition to any personal or professional gym. Forward facing drags are excellent for speed development, primarily targeting your posterior chain, and backward facing (facing toward sled) drags are a great way to build quadriceps strength. - Leash / harness length: 10 ft. Length: 24 - Leash / harness length: 10 ft. Build explosive speed and strength with the Low Bar Push Sled from Titan.This compact design can be used on just about any surface. The Removable Olympic sleeve allows for standard and Olympic plates to be used, making it the perfect addition to any personal or professional gym. - Load the 8" weight post with either standard or Olympic plates to increase difficulty. - Low Bar design allows for more leverage, giving your quadriceps a burn like no other. 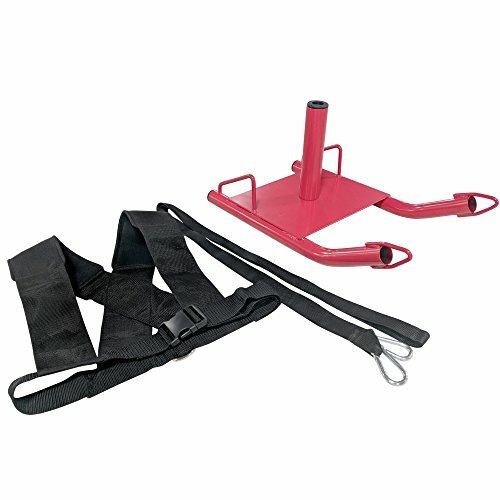 - Includes a harness and carabiners to attach to the sled for sled drags. - Weight Post Length: 8"
Load the 8" weight post with either standard or Olympic plates to increase difficulty. Low Bar design allows for more leverage, giving your quadriceps a burn like no other. 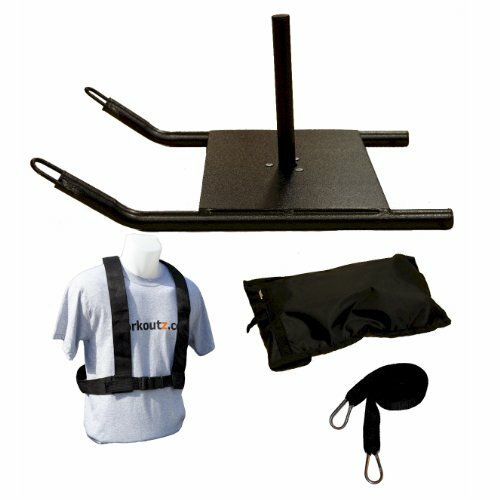 Includes a harness and carabiners to attach to the sled for sled drags. Valor Fitness ES-Sled will increase your power and agility by adding resistance to your runs. Towing a weighted sled while sprinting overloads your drive muscles and forces your nervous system to recruit greater "work" which in turn, improves your ground force production and corresponding explosive acceleration and speed. Simply increase the tow weight (weight plates) as you increase your strength level. The Valor Fitness ES-Sled is the most effective way to round out your training. HEAVY DUTY- Constructed from heavy duty 12-gauge Steel to withstand the toughest workouts. 2 in. 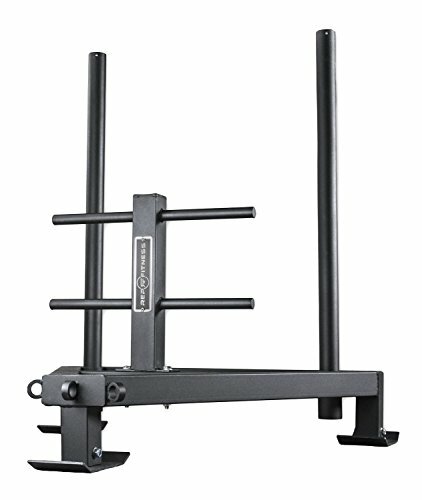 wide weight plate holder to accommodate Olympic Plates for resistance and strength training. Can hold up to 200 lbs. ADJUSTABLE HARNESS- 2 Adjustment, double-stitched, reinforced harness reduces tension by dispersing the pull weight on upper torso. Solid Steel Carabiner hooks attach to sled for safety and security. VERSATILE- Works as a push, pull, or drag sled. IMPORVES PERFORMANCE- Perfect piece of equipment to work on explosive acceleration, speed, conditioning, and strength. ANGLED GRIP HANDLES- Grip handles are ergonomically designed with a slight angle creating a natural and comfortable grip when pushing sled. ADDITIONAL- Harness allows for 7 ft. between the sled and the user. Recommended to use on grass or turf. 1-year warranty. The Titan Pro Sled System is an all-in-one sled training system. Our modular design allows the Pro Sled System to serve as a traditional push-pull sled or drag sled, with many add-ons available for other configurations. Fits 2" Olympic Plates. Get the most out of your training with the Titan Pro Sled System. - Multi-function system translates to multiple workouts/exercises with one sled. - Works as a push, pull, or drag sled with the ability to offer much more! - Additional accessories transform the sled into a high/low push sled, wheel barrow, or lawn boy push sled (accessories sold separately). - Can be used on grass, turf, concrete, or asphalt. - Fits 2" Olympic plates (bumper or steel plates) with plenty of clearance. - Footprint: 24" x 40"
- Plate tube height: 20"
- Push Pole Height: 39.5"
Multi-function system translates to multiple workouts/exercises with one sled. Additional accessories transform the sled into a high/low push sled, wheel barrow, or lawn boy push sled. (Accessories sold separately). Can be used on grass, turf, concrete, or asphalt. Fits 2 Olympic plates (bumper or steel plates) with plenty of clearance. We've gone back to the basics again to deliver the best value in a pull sled, period. 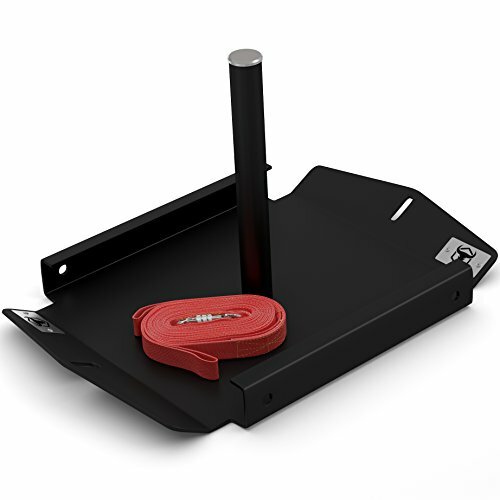 The OneFitWonder "Model A" sled provides everything you need in a pull sled and nothing you don't. This pulling sled is low profile, with a removable weight pin for storage, fits 225lb of bumpers up top (or 400+ pounds of iron), plus it comes complete with a set of OneFitWonder sled straps. Where do we sign up for your next smoke sesh? Heavy gauge, powder-coated steel for years of reliable service. 12 removable weight pin - Unscrews to stack the sleds in a corner of your box- or easily throw one in your trunk. Fits 225lbs of bumper plates (or +400lb of iron). Included 16 foot pull straps (1 wide) with 20 loops at each end - Red or Green. Improve conditioning, build explosive strength and increase sprint time with our Speed Training Sled! Sled training has become a staple training method in the fitness world. Bodybuilders use it for conditioning and muscle-building purposes, whereas sprinters use it to improve acceleration. Sled training provides key benefits to your training and is far superior to all other traditional types of cardio. The versatility of the sled allows you to program a number of different workouts to target specific muscular benefits and general conditioning. 2- Improve Acceleration: Research demonstrated the benefit of sled training on sprinting times compared to just sprinting alone. 3- Build Functional Strength: Speed training sleds are truly versatile tools: Run, Walk, Pull, Sprint, Light Loads, Maximum Effort! 4- Reduced Joint and Muscle Loading: Sled training is geared towards low-speed and/or low-duration efforts. 5- Injury Prevention and Rehabilitation: The lack of eccentrics and joint loading that comes from sled training make it ideal for injury prevention or rehabilitation training for lower-body focused athletes. 6- Variety and Fun: Pull, Drag, Run, Walk... You can rotate your training every time for more variety and fun. 7- Perfect for grass, concrete, track and every types of turf you can think of. Our speed training sled is built in North America and is made with only the best and strongest materials. It comes standard with a 10-foot sled strap, which can be looped over the shoulders or through a belt for a wide range of sled training movements-from shoulder raise dragging and ankle dragging to walking lat pulls and more! Aim for 10-15% sled weight for acceleration work and up to 40-45% sled weight for more strength/mass. NOTICE: By design, the sled does *NOT* require nuts for the bolts since the platform is threaded. Again, no nuts are needed. 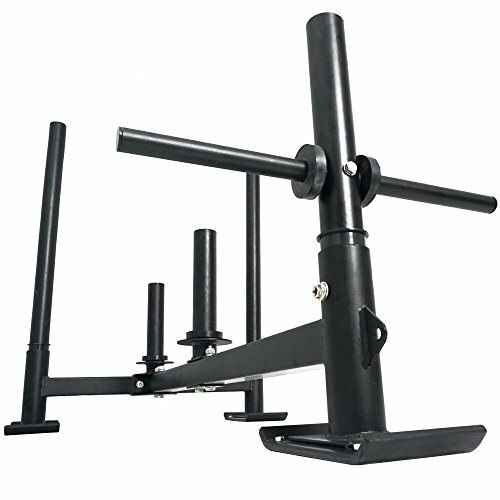 Perform weighted sled drills for a fraction of the price! This unit is "quality enough" for most applications. The Economy Speed Sled will support any standard Olympic weight plate, and also weight plates with smaller holes. This item comes with an adjustable pulling harness and 10' pulling strap. 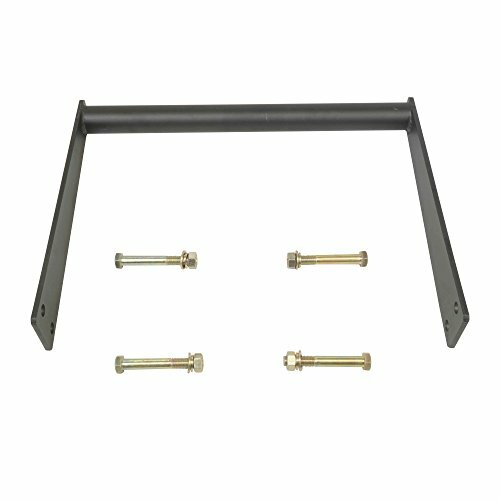 Minor Assembly Required: When your sled arrives, the center post will need to be attached with three hex bolts, which are included. Simply insert the post into the hole from the BOTTOM UP. Then tighten the bolts from the TOP DOWN with a hex tool (not included). If assembled correctly, the bolts should be flush with the platform. IMPORTANT: This item does not require nuts and they are *NOT* supposed to be included. Specifications: Color Black, Length 21.5 inches, Width 14.5 inches, Post Height 9 inches, Weight 8 pounds (without harness assembly), Load capacity approx. 200 pounds. Speed harness belt fits up to 42" waist. If a larger harness is needed, you will need to purchase an "extra large" size separately. A great tool for drag sled pulls, tire pulling, and partner assisted resistance drills. The spring clips hook into belts, harnesses, and other athletic devices. Made of heavy duty, non-stretch nylon material. Each nylon strap measures approximately 10 feet in length by 1 inch wide. Only one strap is needed for most applications. However, we include a second for added security and flexibility. We recommend ALWAYS using both straps when pulling. 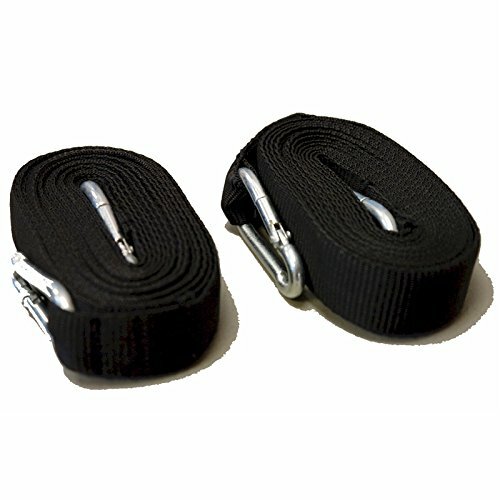 NOTE: We also sell an even heavier duty version of the dual pulling strap called the "Elite." See Amazon store. Never loop the straps around a tire. The friction will cause the webbing to wear down quickly. For tire pulls, it's best to loop a rope around the tire, or bolt an anchor to the tire so that the dual pulling straps can be properly secured without coming into contact with the ground surface. Many uses: pulling exercises, sports conditioning drills, etc. Replaceable skid pads. 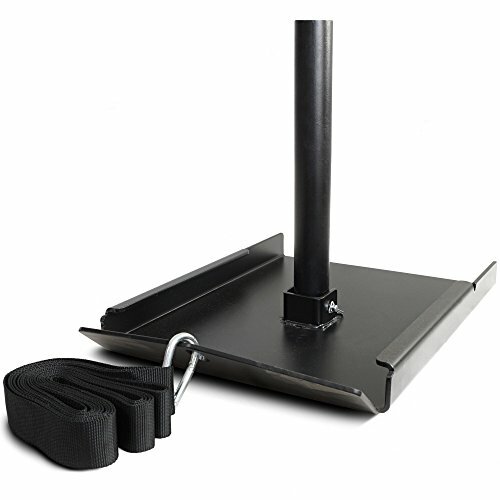 If you use the sled on rough surfaces daily, you've got the ability to replace the skid pads once they wear out. High/Low push handles and eyelets for attaching a rope or harness for dragging. 600 lb capacity and 5-yr warranty on the frame. The Power Speed Fitness Sled can build explosive speed and strength. It resists your sprinting by forcing you to tow a weight on the Sled. Designed for use with Olympic plates it's a great addition to any personal or professional gym. Forward facing drags are excellent for speed development, primarily targeting your posterior chain, and backward facing (facing toward sled) drags are a great way to build quadriceps strength. 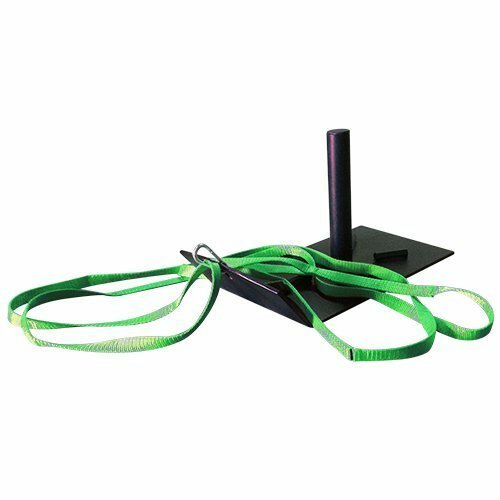 The speed sled is an excellent football training aid, designed to increase sprinting power and speed using a resistance harness device. Simply add weight to the sled and experience top speed resisted sprinting for unmatched power gains. Provides lower body resistance that develops speed and strength for all athletes in all sports. This unique designed table is an real cross bed table which you can work with your laptop or simply enjoy your breakfast in bed. Length and Height adjustable for the table laptop cart computer table, length : 55 inches to 83 inches , height (bottom to top): 26 inches to 33.5 inches. 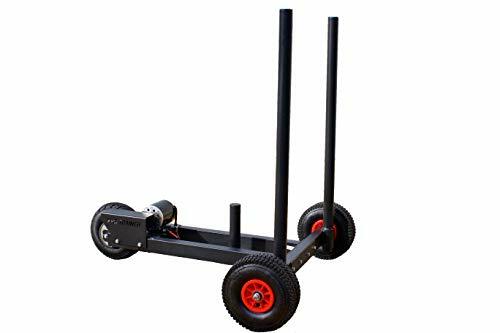 Rolling design of the table laptop cart: With 4 high quality wheels, it's very easy to push away on bed to make comfortable distance if you prefer to watch moves with your laptop on bed, or you could pull it close enough to use it as an workstation. This Laptop Table is made from sturdy wood surface and steel frame, easy to assemble in 10 minutes with tools attached. 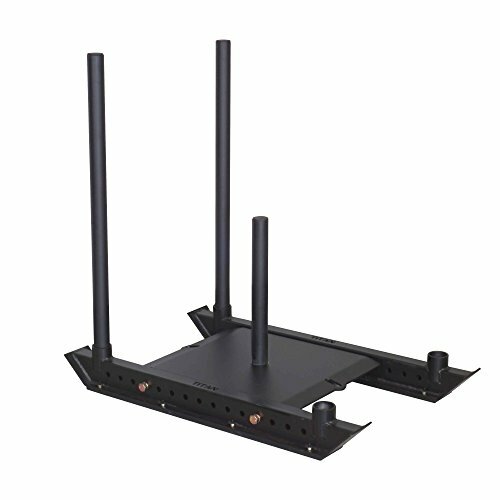 The table laptop cart laptop table Compatible with single, double, queen, king beds. The power sled can build explosive speed and strength with this weight sled from Titan Fitness. Designed for use with standard and Olympic plates it's a great addition to any personal or professional gym. Forward facing (away from sled) drags are excellent for speed development, primarily targeting your posterior chain. Backward facing (facing toward sled) drags are a great way to build quadriceps strength. Using the handles to push the sled is also a great way to build up the hamstrings. 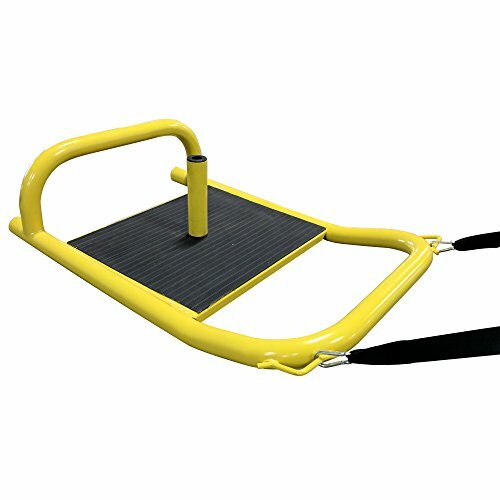 Training Sled designed to be used on most surfaces. Grass, Snow, Sand, and all sports turf. Big & Tall ComCor%reg; Sled Harness for up to 60" girth. Pull sleds forward & backward with included 9' pull strap. Builds power, speed, acceleration and core strength. Double-Action fastener for no-slip adjustments; pulls any weight with no belt slippage (Pat. Pending). Great for football, soccer, baseball, basketball, and track & field training. Coaches love it because it's easy to use. * 2-day shipping as shown on USPS label. **Lifetime warranty against defects *** Less shipping. Tested to pull F-150 Ford pickup 20 miles in Death Valley California. High bar keeps you more upright to build explosive sprints. Easier to push than the low bar. Bolts directly to the Titan Pro Sled System - No Arch Attachments required. 1.9 diameter handle - Handle at 17.9 off the ground.